Myhotel is a budget city hotel. Nestled in Bangkok city's shopping area, Pratunam. Its neighborhoods in 15 minute walk are among all Bangkok shopping center such as Pratunam market, Pantip plaza, Platinum Fashion Mall, Central World, Siam Square, MBK and Siam Paragon. 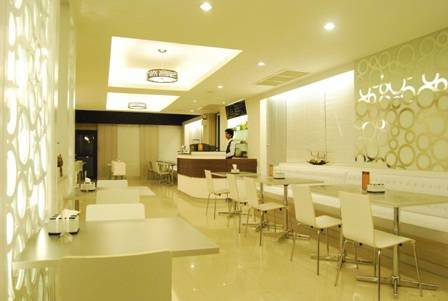 It is the perfect budget hotel to stay for shopping and travelling. This budget city hotel features 71 studios designed in minimal modern style with optimum comfort. We offer 2 types of room from Standard and Deluxe with a choice of single and twin beds for your best selection. 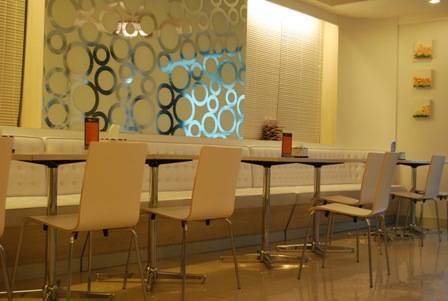 The hotel offers wall-mounted LCD TV, safe box and refrigerator in rooms. 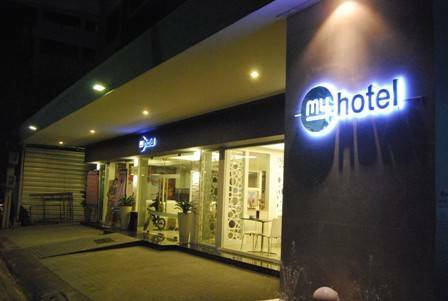 Myhotel provide you more comfort, conveniece and related lifestyle service with our Packing room, Tuk Tuk service Internet counter, and more. After all-day shopping, you may enjoy our in-house Thai massage shop or full meal with our famous mycafe' posted in famous local newspapers. 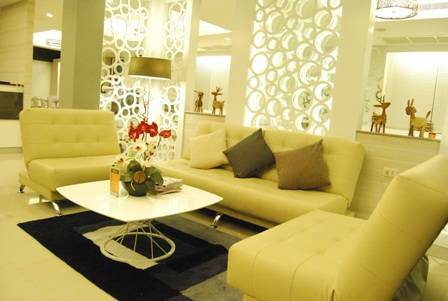 Whether for business, pleasure and traveling, myhotel offer value for money accomodation in the heart of Bangkok, Pratunam. 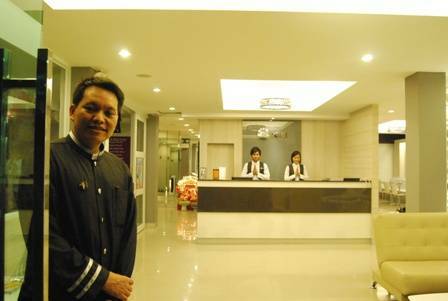 myhotel will offer your friendly city hotel experience. Deluxe Room with private shower room, sofa set, coffee & tea making facilities and inclusive of Breakfast, Service charge and applicable VAT. Standard Room with private shower room and inclusive of Breakfast, Service charge and applicable VAT. My Hotel is located in a shopping gateway “Pratunam market” with a few minutes walking distance to “Platinum mall” where guests can enjoy their shopping of both retail and wholesale clothes and materials. 10 minutes from the hotel, guests can enjoy their shopping and activities at MBK, Central World Department Store and Erawan Shrine, the famous tourist attraction and a legacy of holy and faith as its well known for Asia Pacific People. Room Rate is inclusive of Breakfast, Service Charge and Vat. 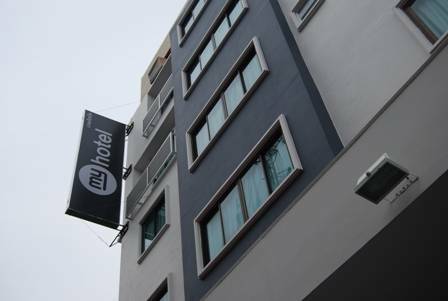 My Hotel is located in Petchburi Road Soi 15 (Petchburi Road & Pratunam area), one of the well known tourist attraction of Bangkok with conveniently 5 minutes walking to BTS Sky Train (Ratthevee Station).